This is one of Scandinavia’s best kept salmon secrets. Råne river is a perfect sized river for fly fishermen. A skillful caster cover all river and in low summer water it is possible to use single hand rods. The fishing is preferably done in the mid and upper parts of the river 15 to 45 minutes’ drive from the lodge. The fishing is done in a sustainable way with a gently outtake of fish controlled by a tag-system. You need a special permit, the tag, to fish for salmon. If you like to keep a fish you tag it immediately at the riverside. You have to report all fishing – also when the fish is released. The annual run is normally 1000-3000 salmons. As a first visitor it is wise to use a guide, when the holding pools and hot spots of the river is not always easy to find. The river is easy accessed by car at most of the stretches – but the ones who is willing to take the half hour walk and cover some undisturbed water, have good opportunity to find a private favorite place. Our salmon is unique – probably the "wildest" salmon I Europe. It has never been affected by stocked or outer genetics, as most of the other river has been. Average size of the salmon is almost 14lbs and 82,5cm. The maximum weight of the salmon is not huge, but the biggest salmons caught every season pass the 30lbs scale and 110cm. Our salmon is early running and hits the river mouth in May. 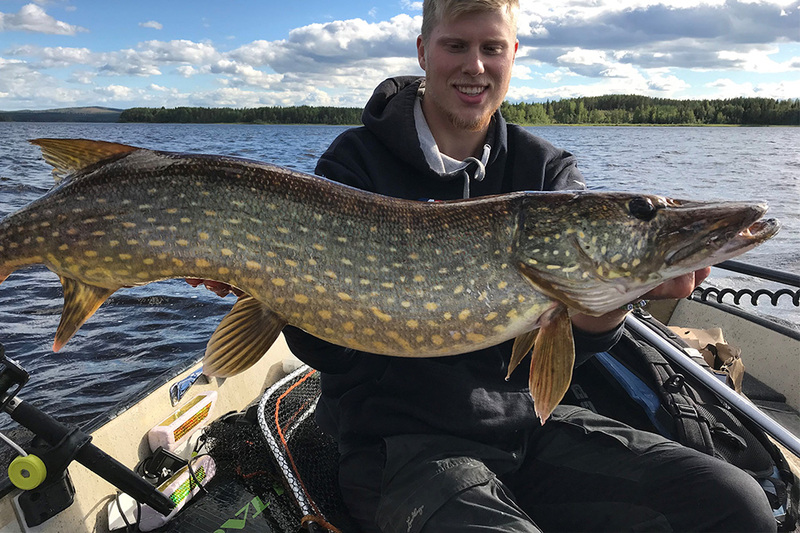 They reach the actual fishing stretches in late May or beginning of June. First the alfa fish is coming; often passing 20lbs is size. In mid-June the normal runs are coming and is continuing until mid-July, to then wane out in beginning of August. It is possible to catch fresh salmon throughout July. We recommend a midrange doublehand rod for early season with high water. You should bring with you a sink tip and an intermediate or floating line to cover all kind of pools and runs. A skillful single hand caster will manage but should probably go for a line #9 or#10 and will not cover the full width of the river at all spots. Late June and July you are able to fish midrange or light double hand rods with lines down to #8. Well-practiced single hand rod fishermen cover most of the river during low water conditions. You should bring floating line and if complemented an intermediate or slow sink tip. Stuff the fly box with light or unweighted tubes or double hooked flies in various sizes. 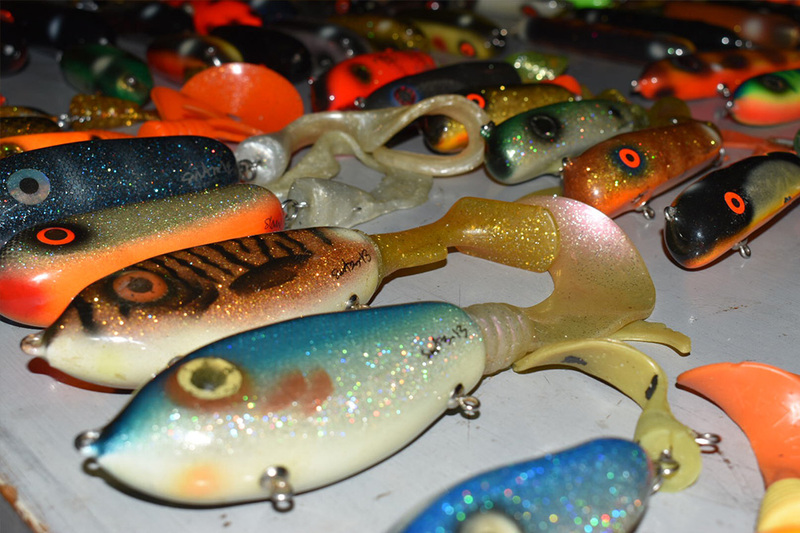 Bright and strong colors as orange and red or green and yellow combined with darks silhouette patterns is pulling the fish out of the water through the season. Bring some spare leaders, it is a rocky river and it happens that the fish cut the leader when tumbling around at the bottom. We normally use tapered leaders with a 0.20 in summer and a bit thicker one 0.35 tip during spring fishing. 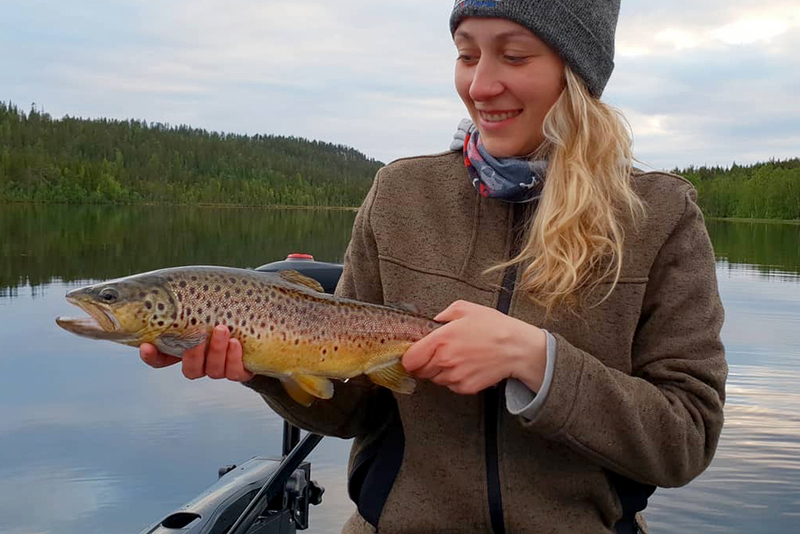 It is not mandatory to use guide, nevertheless you will increase your chances of catching fish dramatically by using a local guide, that know when to be were and how to tackle up for the day. The total length of the salmon fishing area is almost 150km so there are plenty of space, but it also takes local knowledge to find the sweet spots.